Airman's Cross and the site of the Stonehenge New ..Sarsen.org: . Towards the end of December the sun dips ever lower in the sky, almost seeming to disappear. Then, once again, the days begin to lengthen. 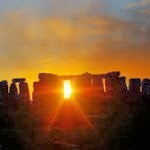 But this year the winter solstice is a little different – at least for those who hope to mark it at Stonehenge. £27m rebuild of facilities at the prehistoric site in Wiltshire. Demand to take part in the annual celebrations, which have already been attracting increasing numbers, is expected to beat all previous years. English Heritage, which runs the site, is preparing to unveil its visitor centre – after 30 years of planning rows and archaeological controversy. Situated a mile-and-a-half to the west of the stones, the new building, designed by architects Denton Corker Marshall, will showcase hundreds of items originally found at Stonehenge, many of them not displayed in public before. 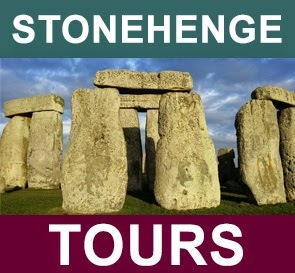 Although this is the most expensive capital project yet undertaken by English Heritage, the quango is concerned not to imply there is any greater capacity for visitors who want to join the druid and pagan ceremony among the stones. Three years ago, only 2,000 people attended winter solstice; in 2012 more than 5,000 turned up. “We are delighted to offer a warm welcome to Stonehenge this winter solstice, but as facilities are limited we are not able to accommodate any more people than last year,” Kate Davies, Stonehenge general manager, has warned. Sunrise takes place at 8.09am that Saturday and people will be allowed rare access to the stones as soon as it is light enough to do so safely. Entrance is free and access will continue until 9am, when the site will close, before re-opening as usual to paying visitors at 9.30am. The solstice, regarded as the beginning of the winter season, occurs when the Earth’s axial tilt is farthest away from the sun. This will actually happen at 17.11pm on the 21st, but celebrations customarily take place at dawn, so access is arranged for the morning. The Wednesday prior to the solstice will see the first members of the public sampling long-awaited improvements to the site. A 360-degree virtual “immersive experience” will let visitors stand within a virtual recreation of the stone circles before they enter a gallery that sets out the facts and theories surrounding the monument. Nearly 300 prehistoric artefacts have been loaned to the centre by the Salisbury and South Wiltshire Museum, the Wiltshire Museum, the Duckworth Collection and the University of Cambridge. The first special exhibition at the centre will be “Set in Stone? How our ancestors saw Stonehenge.” It charts more than 800 years of theories and debate – from 12th-century legends, to radiocarbon dating reports in the 1950s. MONTREAL: Stonehenge Empire, a tentatively titled factual mini-series co-produced by October Films, Lightship Entertainment and Interspot Film, is headed to a handful of broadcasters around the globe. Stonehenge Empire has been licensed by BBC Two in the U.K., Canadian Broadcasting Corporation (CBC), Smithsonian Channel in the U.S., France 5, Austria's ORF and Germany's ZDF. 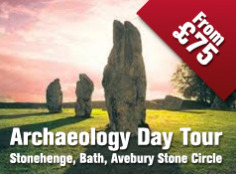 The 2x1-hour special centers on an archeological project that has been taking place at Stonehenge for decades. It will use dramatic reconstructions and CGI to illustrate how the site looked back in the day. Adam Bullmore, the creative director at October, said: "Stonehenge Empire will dramatically change the way we understand Stonehenge and the prehistoric culture that flourished around it. 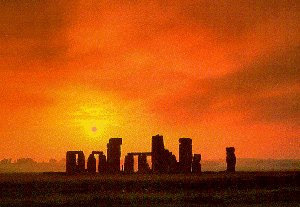 Instead of seeing Stonehenge as an extraordinary achievement of an otherwise relatively primitive, prehistoric people, it will reveal Stonehenge as the epicenter of a truly remarkable and highly sophisticated ancient civilization." Martin Davidson, BBC's commissioning editor for history and business programming, added: "This is a really exciting project which will, using drama, CGI and the latest archeological discoveries, allow us to properly understand the achievements and character of the people that built it; people who mastered deep mining, sophisticated engineering, textile manufacturing, ship-building, 'micro' gold-working, metallurgy, glass making, overseas trade and complex astronomy and mathematics."